Jennifer Juniper Stratford established Telefantasy Studios in 2004 to create mind melting mutant video and Television experiences. Scavenging the ruins of the post-digital-apocalypse, JJ hunts down analog broadcast equipment cast off from Hollywood studios. This treasured hardware is then redeployed to create innovative and original new programming, often in alliance with some of the multiverse’s brightest stars to create cult classic public access programs, highly sought-after sim-sense chips, video experiments and music videos which invite you to turn on, jack in and rock out. JJ’s work has been exhibited, broadcast, and screened internationally at MoCA Geffen Contemporary,The Getty, Cinemarfa, CPH:DOX, The Museum of the Moving Image, The New Beverly Cinema, Storefront for Art & Architecture, BAM Cinématek, Cinefamily, and on public access stations across the United States, and various exhibitions in Cyberspace. Telefantasy’s newest embodiment is Telefantasy Television and it’s headquarters located at Coaxial Arts in Downtown LA will be open to the public from October 15 – 31. 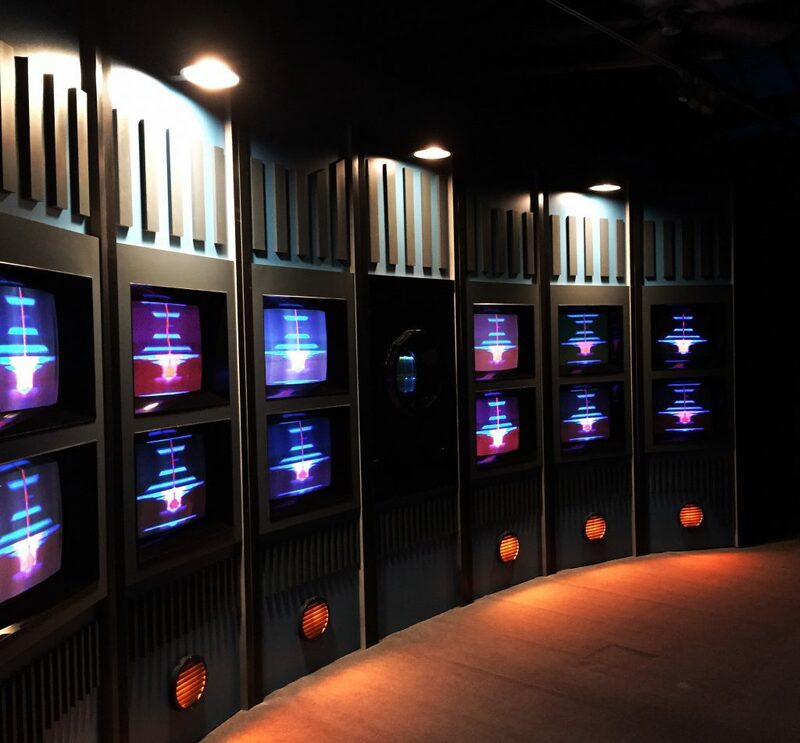 Visitors will play their part in creating the future of television when they meet H.A.R.R.I.E.T. – Telefantasy’s latest innovation in network programming technology. Don’t miss out on this unique opportunity! Telefantasy Television’s super swanky opening reception takes place on October 15 and further events will be programmed by H.A.R.R.I.E.T. in due course. Opening Reception and unveiling of H.A.R.R.I.E.T. (Claire L. Evans & JJ Stratford) in collaboration with Experimental Half Hour. This workshop will teach women the basics of Audio Visual Work and Modular Video Synthesis. featuring Interspecies wrestlers both good and bad competing for the title of Ultimate Multi-Universal Warrior. A celebration of Telefantasy Studios’ original public access program with episodes airing at Coaxial off the original U-Matic Broadcast Tapes. Original Telefantasy Studios creators and cast Riley Swift, Christine Adolph, and Liza Cardiale will be in attendance. Programming and events are made possible with the support of the Mike Kelley Foundation of the Arts.